In a new series, "The Future of Work," PBS explores the concept of "creative destruction" and how innovation is poised to affect jobs, income inequality, mental health and more. 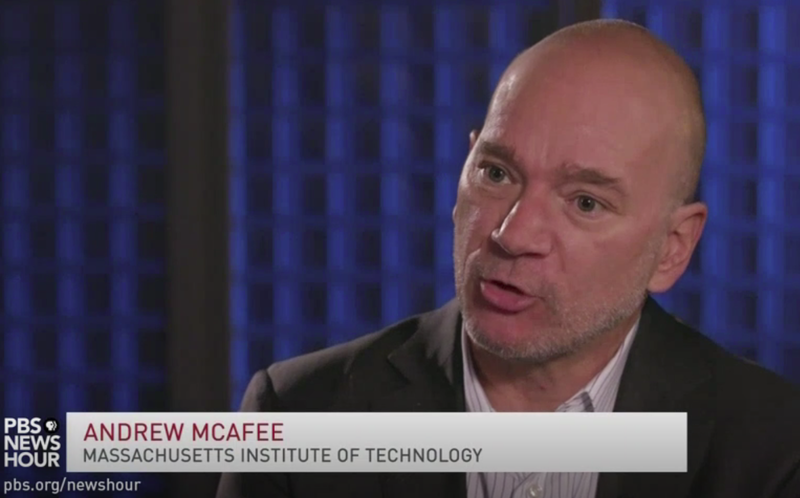 MIT IDE co-director, Andrew McAfee, noted that, "It's always easier to focus on the destruction part than the creation part, for a lot of obvious reasons. It's easy to see this job being automated away. It's not as immediately clear what kinds of jobs, what kinds of opportunities are being created by technology." He is optimistic, and "sees technology creating really good jobs, very high-paying jobs, really great careers," although inequality has to be remedied. Also read about Andy's closing keynote at the recent Australian Computer Society ACS Reimagination Thought Leaders' Summit 2018 in Melbourne, where he emphasized that changes are occurring at both a business processes and organizational level.